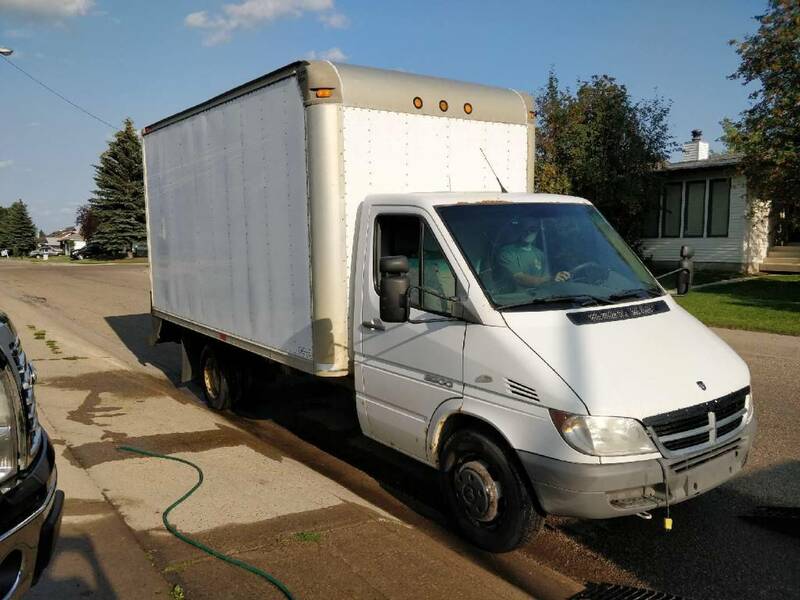 Hi I am trying to get insurance for a 2006 Dodge sprinter 3500 cab and chassis with a 7 x 14 box on it. Having issues insuring it personally wondering if anyone knows a company that can do this for me? Everywhere I've tried consider this a heavy vehicle and classify it as commercial even though the gvw is less than my 2013 ram 3500 single wheel. Looking to eventually convert it to a camper but for now just will be using it to haul dirt bikes to races. I know nothing about how vehicle insurance works in Alberta, but if you've been refused by multiple companies, there must be a reason, either the vehicle or applicant is considered too high risk. That said, you could try an insurance broker. Sometimes they have access to specialized insurance provider options for higher risk situations. HUB International might be able to help, but again, I don't know if they do vehicles in Alberta. I think it's because you've left your block heater cord hanging out in the summer. Seriously though, your best bet should be the broker who handles your other vehicle insurance. If not, I'd try one of the larger actual brokers who will actually search out different underwriters. Some only work with one, some are just lazy. There are apparently some funny things happening with vehicle insurance in Alberta, making new coverage difficult in some cases. I got it figured out with a broker, thanks everyone.